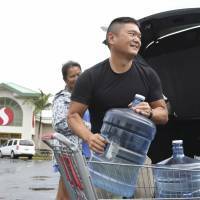 HONOLULU - Residents of Hawaii were bracing for a rare landfall by a powerful hurricane as they stocked up on water, food and emergency supplies. 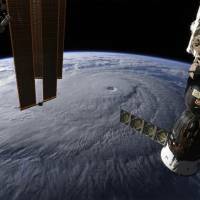 Hurricane Lane, which weakened slightly to a Category 4 storm overnight, is packing 155-mile-per-hour (250-kph) winds and was expected to reach the archipelago’s Big Island by nightfall Wednesday. President Donald Trump urged residents to prepare for the storm, which was expected to bring torrential rains, high winds and dangerous surf. “Everyone in the path of #HurricaneLane please prepare yourselves, heed the advice of State and local officials, and follow @NWSHonolulu for updates. Be safe!” he tweeted. The National Weather Service said a hurricane warning has been issued for Maui County and Hawaii County while a hurricane watch was in effect in Kauai and Oahu. “The center of Lane will track dangerously close to the Hawaiian Islands from Thursday through Saturday,” it said. It added that though Lane is forecast to weaken in the next 48 hours it will remain a dangerous hurricane as it nears the Hawaiian Islands. 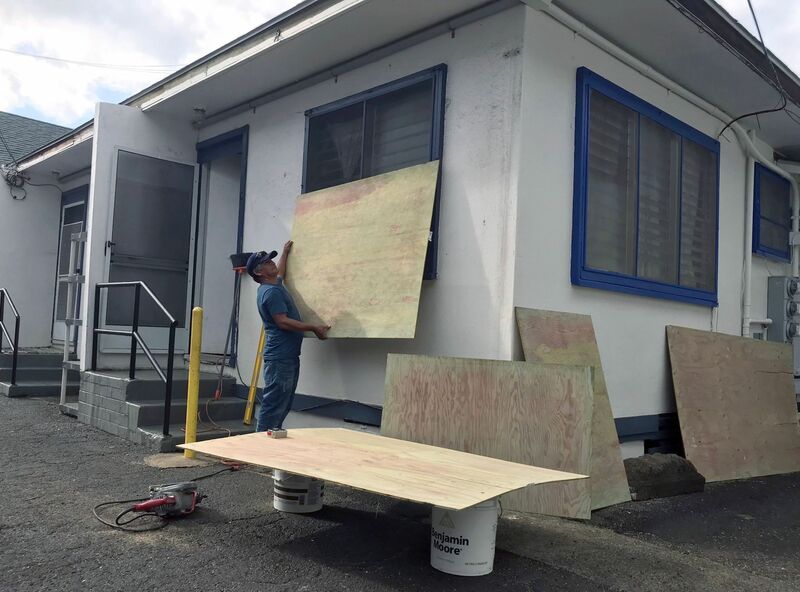 “Lane is expected to produce total rain accumulations of 10 to 15 inches (250 to 380 millimeters) with isolated amounts greater than 20 inches over the Hawaiian Islands,” the NWS said. It added that regardless of the exact track of the storm, the state should brace for the potentially life-threatening impacts. He said the priority at this point was to ensure residents were prepared for the storm. 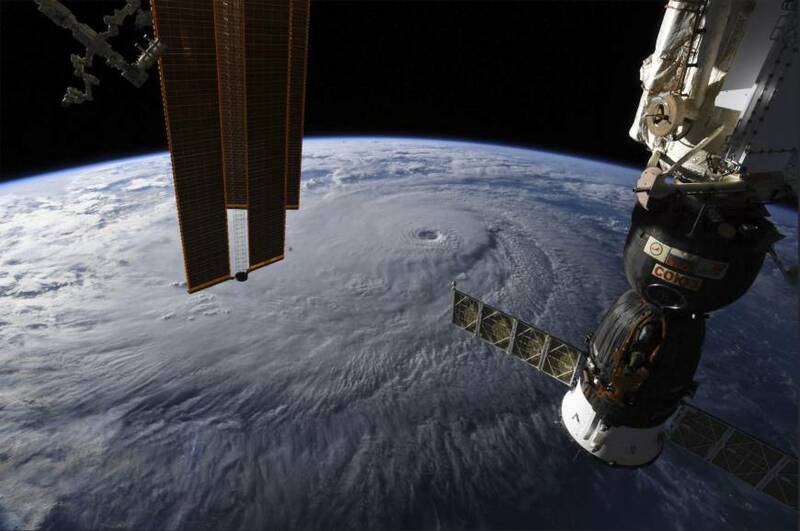 Hurricanes rarely make landfall in Hawaii and the last major storm to strike the state was nearly three decades ago, when Hurricane Iniki barrelled into the island of Kauai, leaving six people dead and causing billions of dollars in damage. 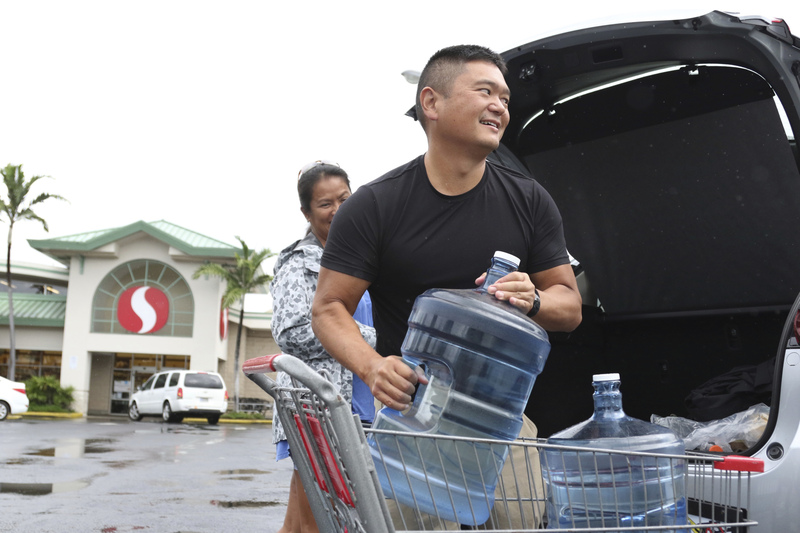 In preparation for the latest storm, state officials have closed schools and public offices in the counties affected while residents rushed to stores to stock up on water, food and other supplies. Many were also boarding up their houses. Gov. 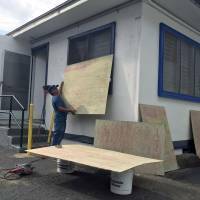 David Ige on Tuesday declared a state of emergency on Big Island to help provide relief for damage from the hurricane. “Hurricane Lane is not a well-behaved hurricane,” he said in a statement. “I’ve not seen such dramatic changes in the forecast track as I’ve seen with this storm. FEMA associate administrator Jeff Byard said authorities were bracing for the worst, stocking up on emergency food and water and readying shelters. “We have emergency food in the form of MREs (Meals Ready-to-Eat) and water that are currently on all four counties of the state,” he said. He said FEMA was also working with utility companies to co-ordinate the repair of any damaged power infrastructure. Ige also urged President Donald Trump to declare a federal state emergency and approve immediate U.S. federal military help. And Hawaii “anticipates the need for immediate access to federal resources for search and rescue, mass care and sheltering commodities, and temporary power generation,” he warned. Meanwhile the U.S. Navy said some of its ships and submarines based in Hawaii had begun to deploy to avoid getting caught in the storm.